Learn About Our Business Alarm Company? Welcome DiYers to GeoArm Security! We are a professional alarm company, that specializes in DiY business security solutions. Our GeoArm brand is a subsidiary of the conglomerate AlarmClub.com, Inc. which has been protecting businesses in South Florida since 1999. Headquartered in West Palm Beach, Florida, our organization has established itself as the nationwide leader in low-cost business security solutions for all skill levels of do-it-yourselfer's. Founded in 2008, our GeoArm brand was a early pioneer in the business security market based on the simple principle that business security should be easier and cost less money. With the advancements of wireless technologies, we have focused on delivering name brand products at everyday low prices. We shared our customer's dream that free technical support resources should be available without the need for expensive hourly onsite technicians. So, our team got to work developing our proprietary library of how-to-videos and support center articles geared for even the most inexperienced DiYer. By focusing first and foremost on the customer experience, our brands have disrupted the business security market. Our commitment to research and development helps ensure that our DiY clients get the most cutting edge business security systems, products and services available. Unlike other companies, we offer both do-it-yourself and central station alarm monitoring services starting at only $10 a month. &check;Low Price - At less than a third the price of our competitors ,we keep you protected without taxing your wallet. By providing remote alarm service, we also save you the cost of expensive and time consuming onsite service calls. If you own an existing business security system, chances are we can reprogram your panel to dial our ETL-listed central station and you can start saving on that monthly monitoring bill today. Over the years, we have monitored thousands of business's across North America against burglary, commercial fire and medical emergencies. With unlimited zones, rest assured knowing your family and property are safe and protected at all times while making you eligible for a business insurance discounts. In some cases, this discount can cover the cost of your alarm monitoring service. All of our professional central station plans connect your system to a live operator, 24 hours a day, who can call the proper authorities (police, fire or medical) for dispatching in case of a confirmed break-in, fire, or any other type of emergency. What are the Compatible Security Brands? 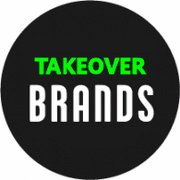 All product names, logos, and brands used for identification on GeoArm are property of their respective owners. Switch Business Alarm Monitoring Services? Read Our Great Customer Reviews? "Who wants to be locked into a 3 year contract? After researching their competition, it's clear GeoArm is one of the best DIY alarm companies around. Unlike my previous alarm company, GeoArm did not require me to sign up for the long term contract. I save hundreds of dollars each year and have the peace of mind knowing that I am not locked into a contract." 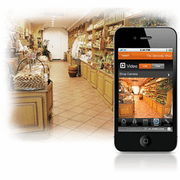 "The initial experience with GeoArm is among the best that I have had. I received a callback promptly after calling their toll-free number. Communication was consistently outstanding, with timely e-mails and phone calls. Their technician Ralph possessed an in-depth knowledge of security hardware and internet connectivity. In this age of internet anonymity, it is refreshing to receive a customer-first approach to product delivery, service, and support." "Yes, I am a IT guy and a DIYer. Reading a technical manual is a walk in the park for me, however, the hardwired alarm products (Vista 20p, Tuxedo Touch, KeyFob, etc) can become confusing even for me. You really need the expertise of GeoArm. Once you are done with the wiring and have installed the cellular communicator, Joe helped me with all the rest. Their website is SUPERB and has all the information to make the setup easy." 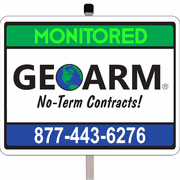 Here at GeoArm, we provide reliable, and secure do-it-yourself and professional business alarm monitoring services. Over the years, our clients have self-monitored thousands of businesses across North America against burglary, fire and carbon monoxide emergencies. With unlimited zones, rest assured knowing your personnel and property are safe and protected at all times. Best of all, there are no-term contracts, third party bills, and never hidden charges!